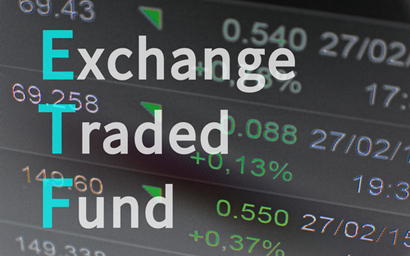 ETFs or exchange-traded funds are one of the most valuable securities on the stock market. Bought or sold through a brokerage firm, these products were created by individuals who started investing a few years ago. They are actually baskets of securities which you can sell or buy through your broker. The point is to give you access to different markets, help the investor gain leverage, and even dodge short-term capital gains taxes. Even though it all started in 1993, nowadays ETFs are known for their SPY symbol. In addition to that, there have been large investments in them, equal to about $1 trillion. What kinds of ETFs exist? Market ETFs: they follow a specific index on the stock exchange. Bond ETFs: their main purpose is to expose the investor to all sorts of bonds. Commodity ETFs: they follow goods like oil or gold. Style ETFs: they are interested in large-cap values or companies that have more room for growth. Foreign market ETFs: they follow the markets outside the United States of America. Inverse ETFs: in contrast to the other ones, they make a profit when there is a decline in value. Actively managed ETFs: the purpose is to beat the index, not track it. Exchange-traded notes: if a bank is creditworthy, it can release debt securities that give the investors a passage into illiquid markets. Alternative investment ETFs: they include a few newer structures and investment strategies. How to work with ETFs? ETFs work similarly to stock, but there is a significant difference. Unlike other company stocks, the quantity of shares changes every day through creation or redemption. As far as the investors go, they are usually individuals, and they have a role to play when it comes to the liquidity and integrity of the ETF. Furthermore, they are the main part of creation units acquisition and purchase. You can trade baskets of underlying securities for ETF shares. However, if the price goes down, the investors and the creation units utilize an arbitrage mechanism that brings it back up. Why do people like ETFs? You can acquire them or sell them any time. The fees are lower, meaning that there is no sales load. However, you would have to pay the brokerage commission. They help with the capital gains tax payments – investors have more control over it. Unlike mutual funds, investors can place a number of different orders with their broker. Is there anything you should worry about? The trading costs are a bit higher. You can buy some ETFs for more money, but if they have a large bid/ask spread, you would have to sell at a loss. Technical issues can always happen. It takes about three days for the ETF sales to settle. You cannot use the funds in the meantime. The whole point of the ETFs is to give you the exposure you want. Whether that means that you can gain access to the foreign market, or a particular industry sector – ETFs make it possible. When it comes to investing, you can go the traditional route and invest what you have in the stock index and bond ETFs. Afterward, you can slowly add in the commodities such as gold. ETFs allow you to quickly and freely move between the markets, so there are opportunities to grab shorter term swings. 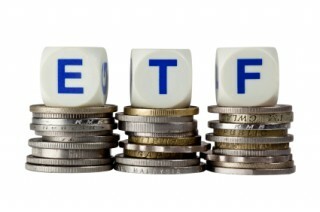 How does the future of ETFs look? The future is bright when it comes to ETFs. They are bound to become even more popular in the next few years. However, even though the innovative aspect might intrigue investors, proper research is a must. Some of them are just not as valuable as you might think, so you should tread carefully if you plan to invest in them.